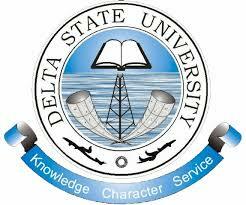 Delta State University, DELSU direct entry admission list (1st batch, 2nd batch, 3rd batch, 4th batch & 5th batch) for the 2018/2019 academic session is out and now available on the university portal. The Delta State University (DELSU) 2018/2019 academic session direct entry first (1st), second (2nd), third (3rd), fourth (4th) and fifth (5th) admission lists of candidates offered provisional admission into the university various first degree programmes are out. Congratulations to all the candidates that made it to DELSU direct entry admission list. I have input my Reg number to check my admission status via Direct Entry and Its telling me Reg number not found this is merit and catchment list keep checking, why is this happening?